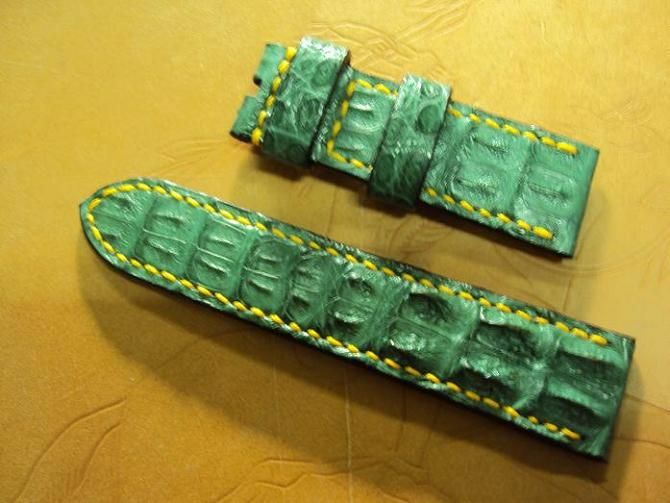 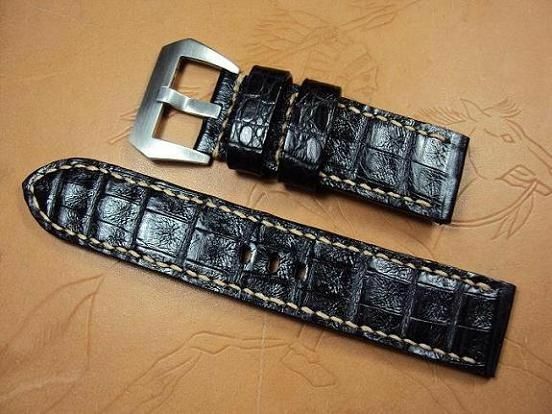 Here are some Panerai custom straps A2061~A2071 include black crocodile strap & green and red big horn crocodile straps which have sold by way of some custom strap order of my customers. 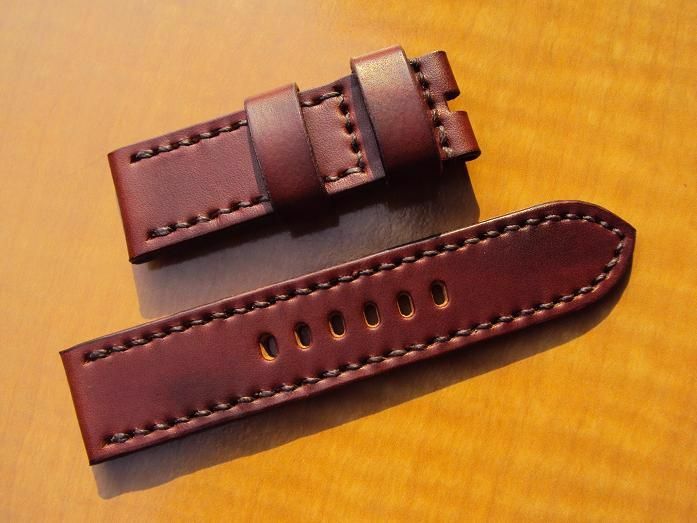 Custom A2061, Panerai dark brown vintage leather strap, 24x24mm, 75x120mm, thick 4.5mm taper to 3.5mm, dark brown stitch. 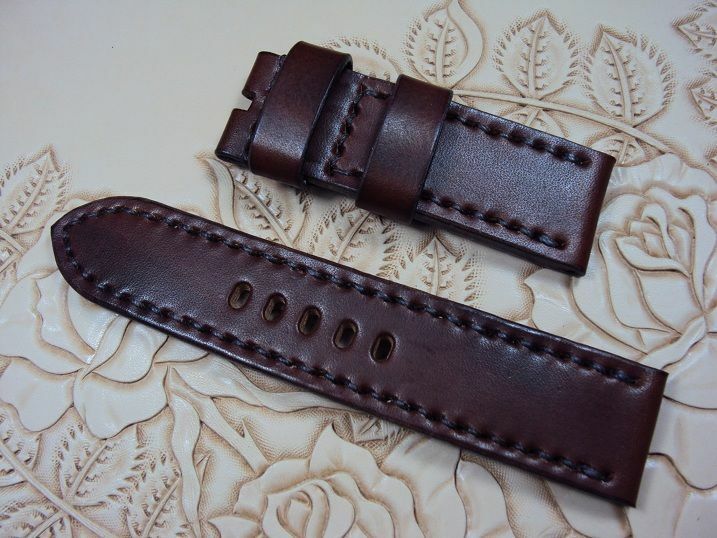 Custom A2062, Panerai chocolate brown vintage leather watch strap, 24x24mm, 75x120mm, thick 4.5mm taper to 3.5mm, dark brown stitch. 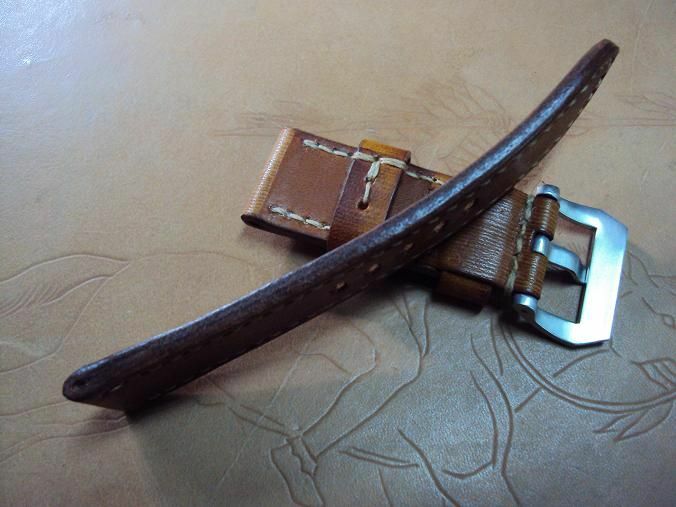 Picture was taken under the sun shine. 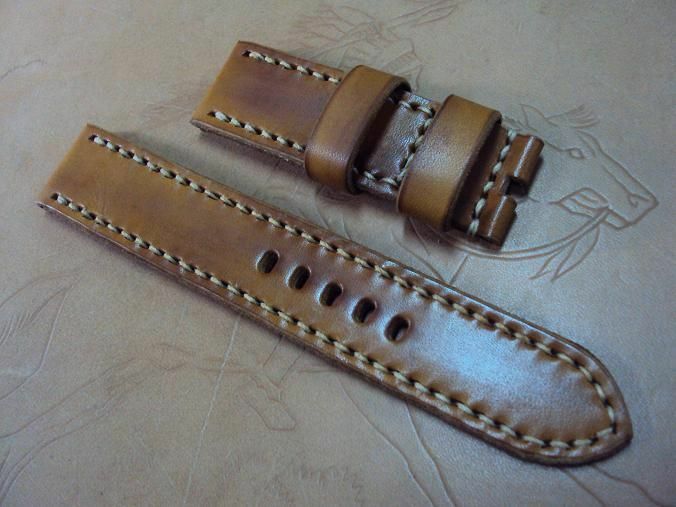 Custom A2063, Panerai honey brown vintage leather strap, 24x24mm, 58x110mm, thick 4.0mm, cream stitch. 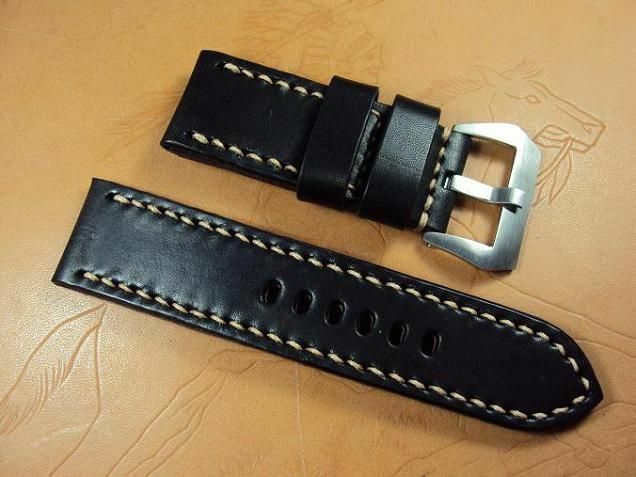 Custom A2064, Panerai ultrasoft black vintage leather strap, 24x24mm, 125x70mm, thick 5.0mm, cream stitch. 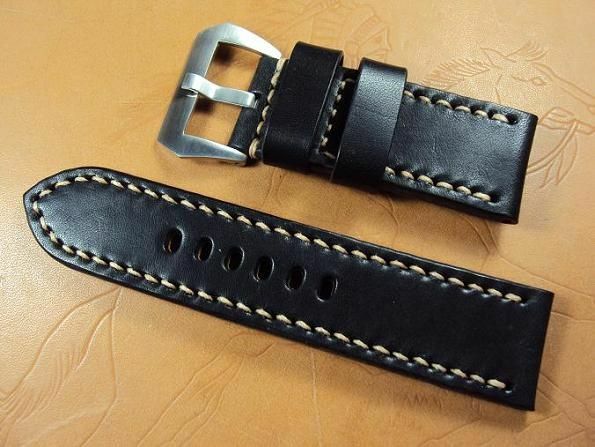 No including the pre-v buckle which is an optional item that charges extra $ 15 USD. 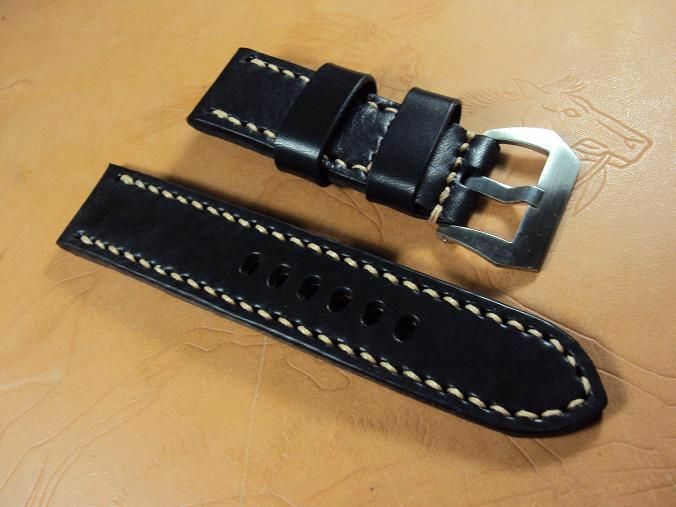 Custom A2065, Panerai ultrasoft black vintage leather strap, 26x26mm, 125x70mm, thick 5.0mm, cream stitch. 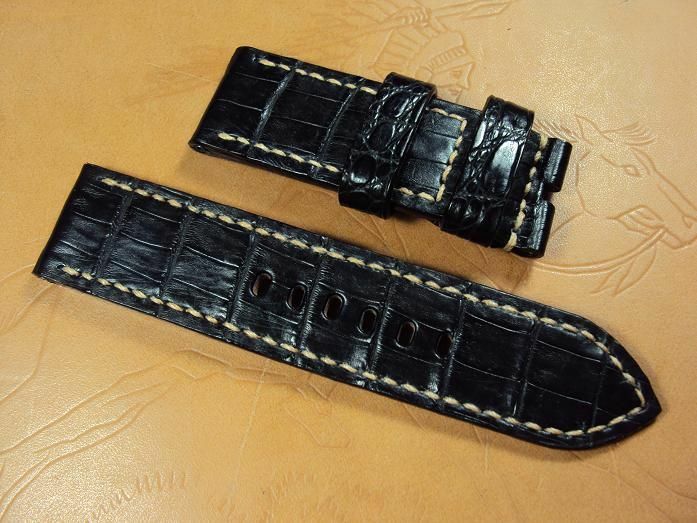 Custom A2066, Panerai black crocodile belly dtrap, 24x24mm, 135x70mm, thick 4.5mm taper to 3.5mm, cream stitch. 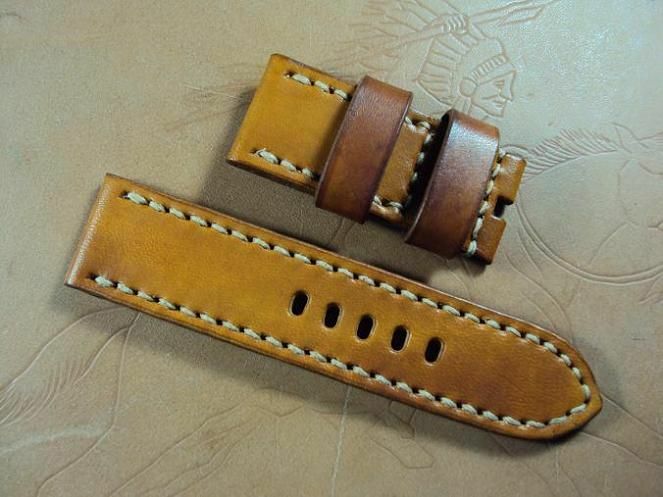 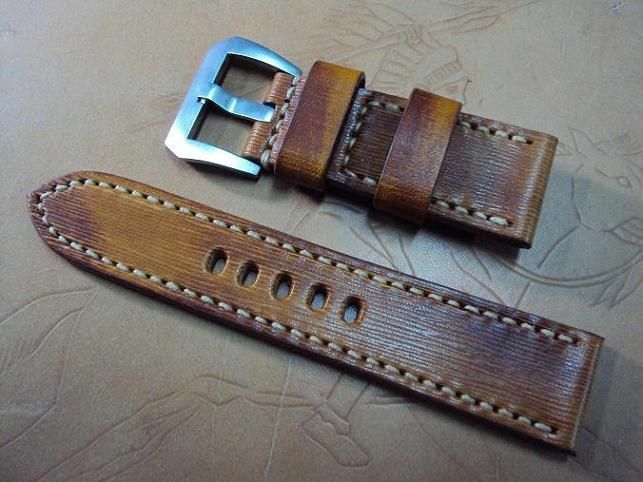 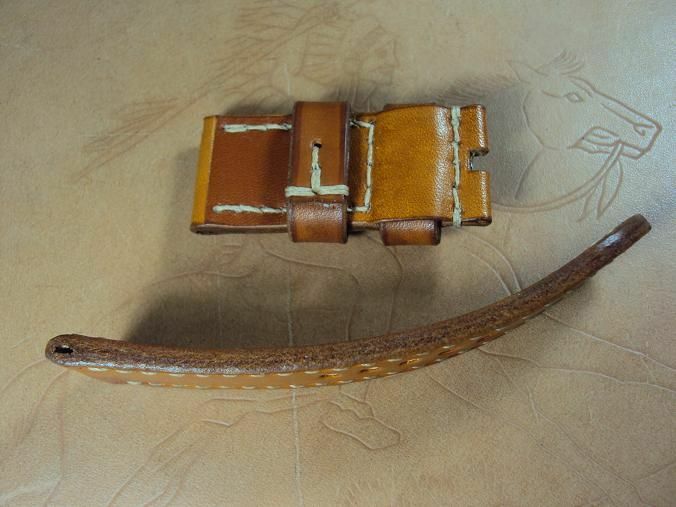 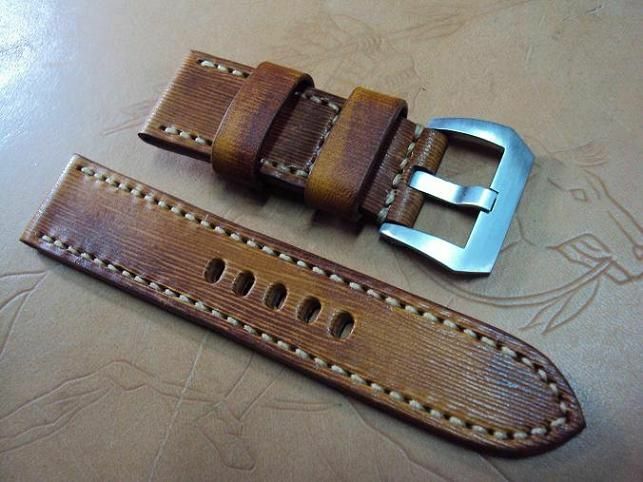 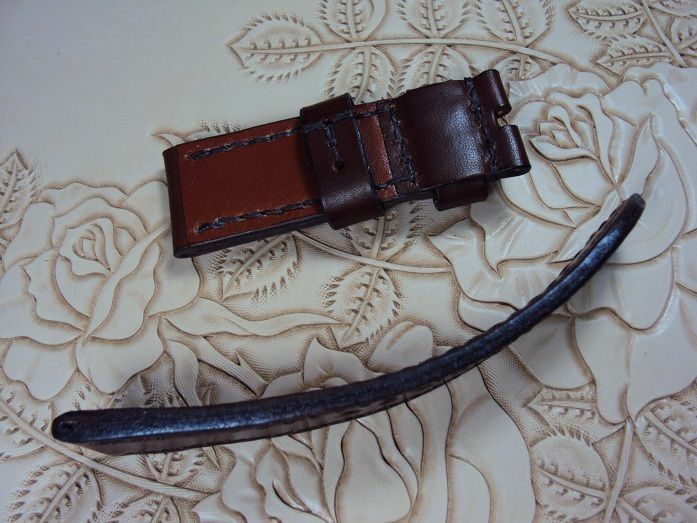 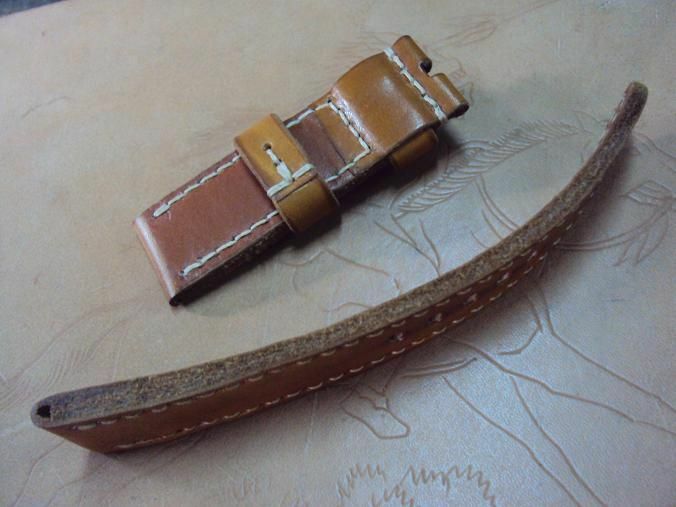 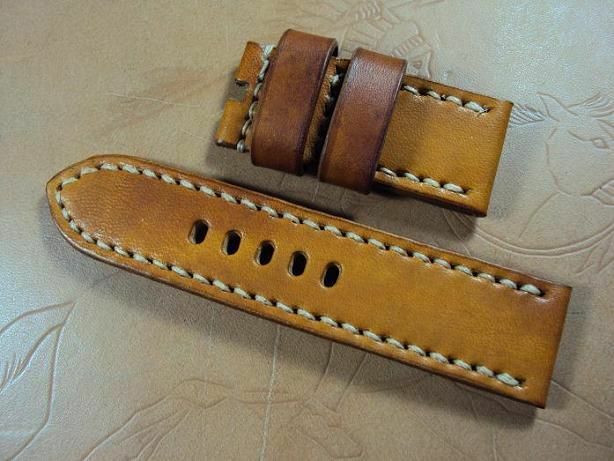 Custom A2067, Panerai honey brown rippled vintage leather strap, 24x22mm, 125x65mm, thick 4.0mm, cream stitch. 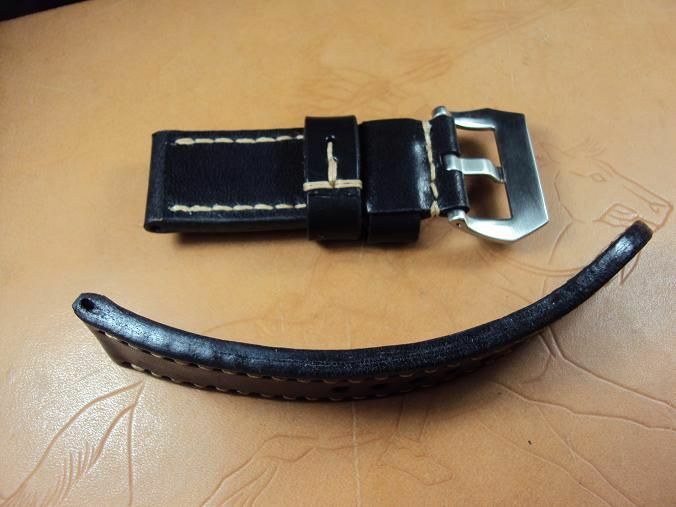 The Italian ripply leather strap is priced at $ 140 USD, it charges the promotional price at $ 90 USD including registered airmail worldwide shipping. 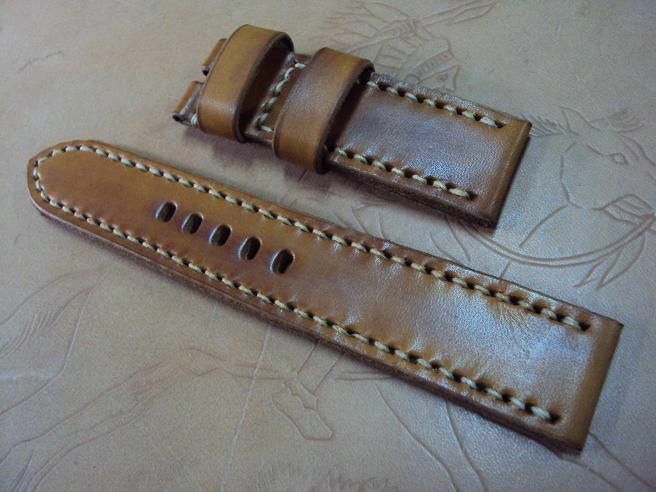 Custom A2068, Panerai coco tan vintage leather strap, 24x24mm, 80x145mm, thick 6.0mm taper to 4.0mm, cream stitch, raw edges. 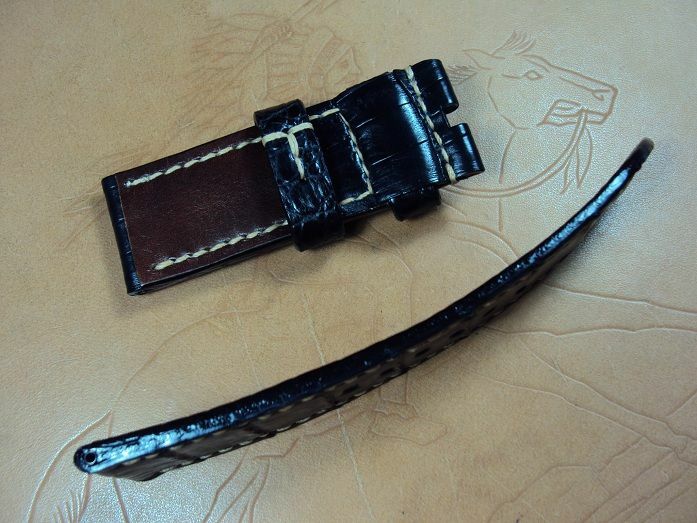 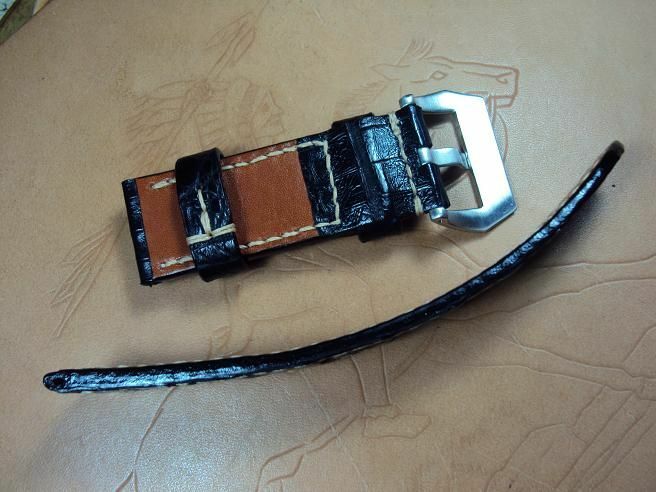 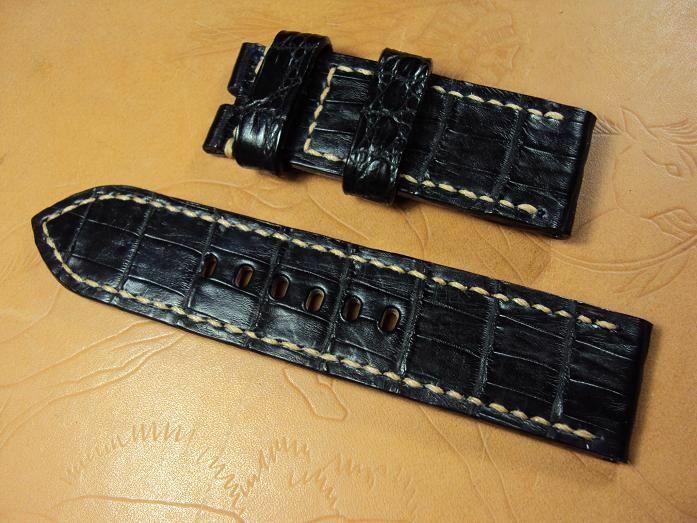 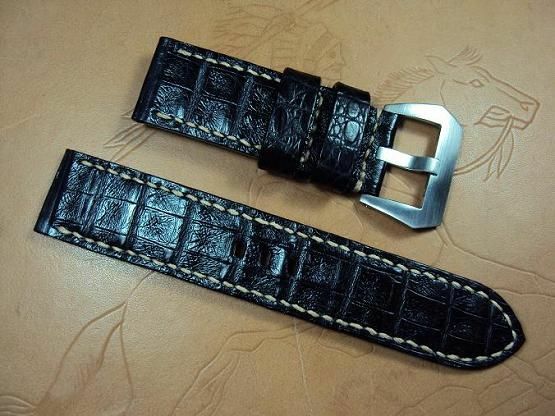 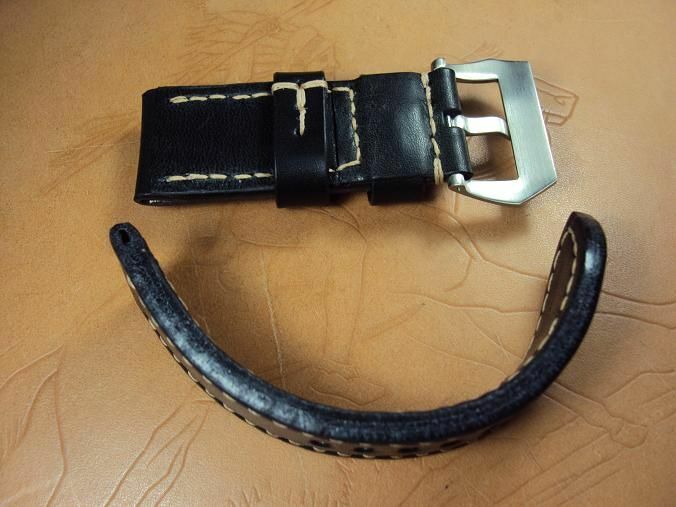 Custom A2069, Panerai black crocodile belly strap, 26x26mm, 75x125mm, thick 4.0mm taper to 3.0mm, cream stitch. 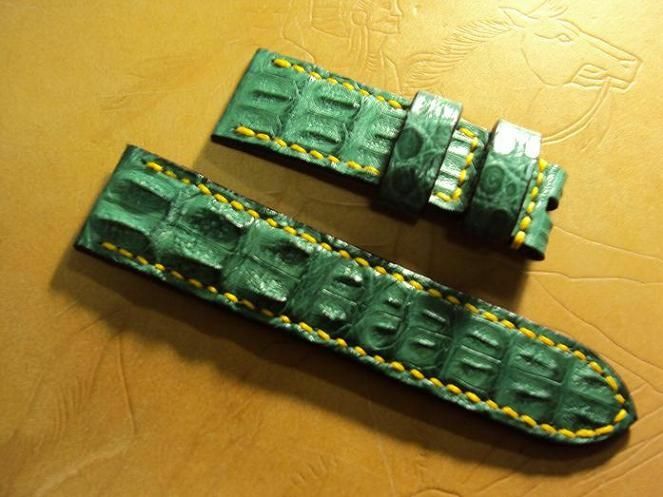 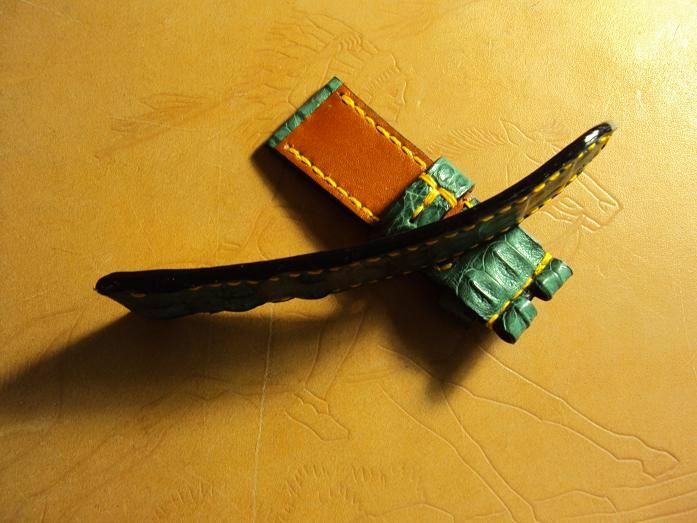 Custom A2070, Panerai Luminor PAM112 green big horn crocodile strap, 24x22mm, 75x115mm, yellow stitch. 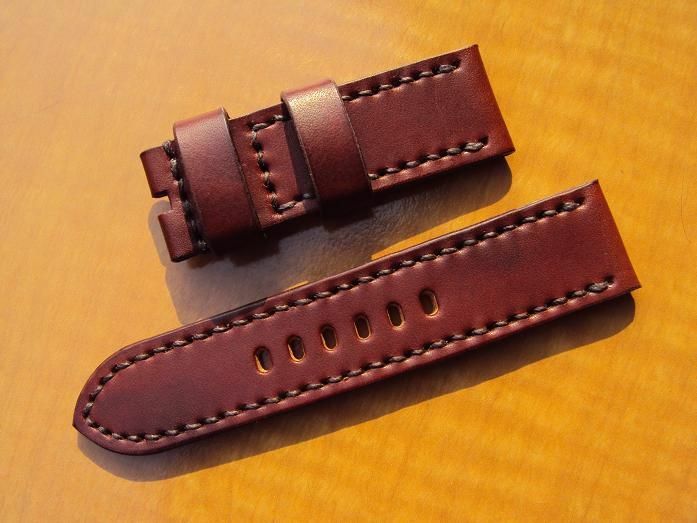 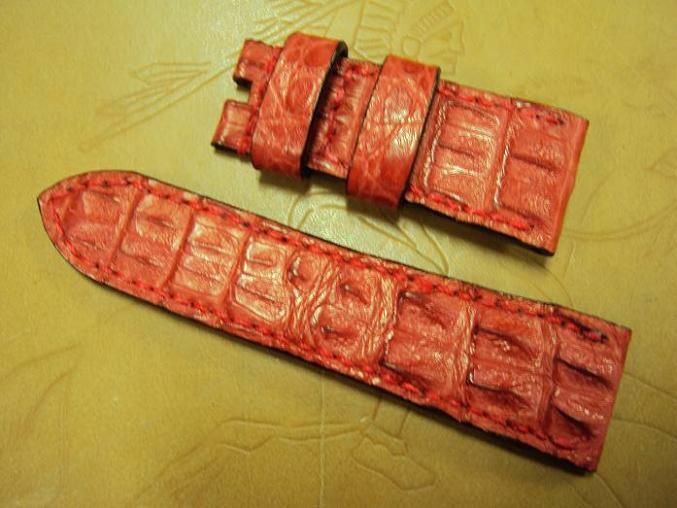 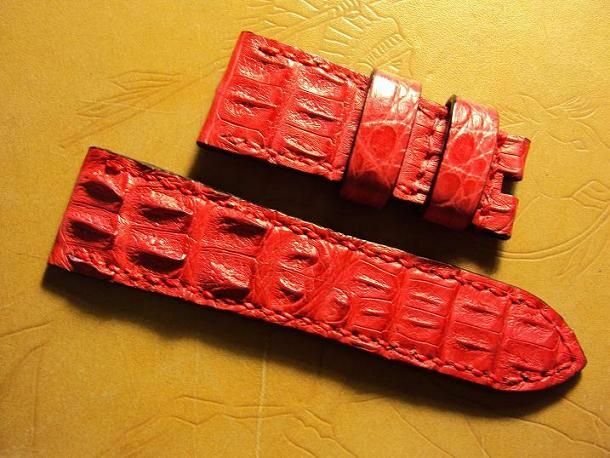 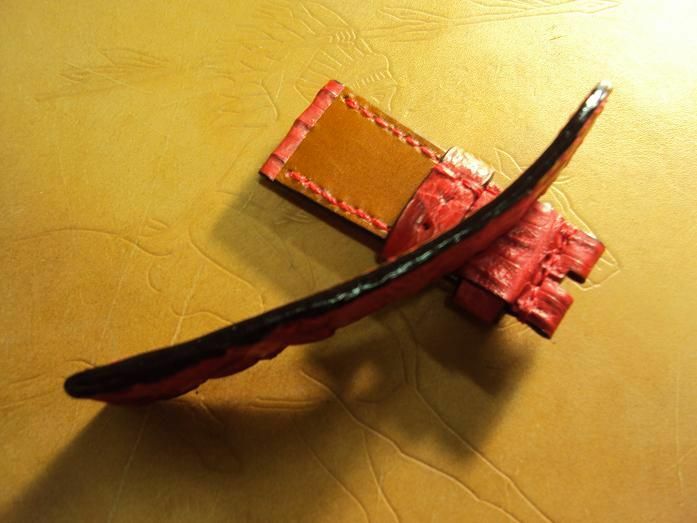 Custom A2071, Panerai Radiomir PAM 380 red big horn crocodile strap, 26x22mm, 65x110mm, red stitch.